SALT LAKE CITY, Utah, Aug. 7, 2011 (SEND2PRESS NEWSWIRE) — International Document Services (IDS), a mortgage document preparation vendor, and Avista Solutions, a leader in sophisticated Cloud-based loan origination systems, have enhanced their partner interface to centralize data entry and create a seamless interaction between their respective systems. The new iteration of the interface embeds idsDocs directly into Avista Agile™ so that users do not have to switch between systems for origination and document preparation. All loan data is entered into both systems through Avista Agile, creating a single point of contact that ensures the integrity of the data remains intact while also streamlining the data entry process. “The idsDoc system is the perfect complement to Avista’s sophisticated Cloud-based LOS, and by strengthening the integration between the two, we can provide our shared customers a powerful platform to tackle origination and compliance challenges head-on,” he added. Avista Solutions, the Mortgage Technology magazine “2007-2008 Mortgage Technology Help Desk Award Winner” and a perennial “Top 50 Mortgage Technology Provider,” is a leader in sophisticated Cloud-based loan origination systems. Avista Solutions’ suite of mortgage lending software provides complete, end-to-end solutions incorporating loan origination, product eligibility, pricing and imaging that can be rapidly implemented across all origination channels. For more information, please call (843) 619-4800, or visit www.AvistaSolutions.com . IDS is a nationwide provider of mortgage documents and compliance. IDS services include closing documents, reverse documents, initial disclosures and fulfillment. 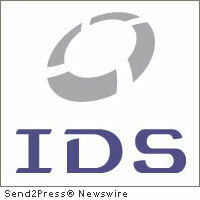 IDS’s solution, idsDoc, is recognized in the industry for its ability to be customized to meet specific lender needs. IDS backs the system with unsurpassed customer service, cutting-edge technology, compliance and document guarantees and a solid compliance team. Lenders looking to move forward when it comes to doc prep can visit the IDS website at www.idsdoc.com or call 800.554.1872.